Q: How did the Board make the decision to move to 225 Sterling Rd? school could afford and that would suit its dancers. visited a short list of 10 to 12 possible contenders. inspiring option identified by this prolonged search. school’s history? What can we do to help? details of their skills and availability. in the school and circulated at community meetings. Q: Can we visit the new space at 225 Sterling? Q: When will the school be moving? What will happen to classes? Sterling Road space by Sept. 3.
serve as offices and prop/costume storage. Q: Will the move mean any significant changes to classes, programming, scheduling, or pricing? seek philanthropic and community funding to support this mandate. organizational umbrella at 6 Noble? collaborators in the near future. Q: How long is our lease on the new space? closest and most convenient TTC stops? MOCA, where the Forna Cultura café is now open until 8 or 9 p.m.
a Green P parking lot conveniently located just around the corner. Our mandate is to make dance available to all who wish to pursue it: this is the guiding principle which breathes through the school. Our programs are tailored to all ages and all levels: from the very young to the pre-professional and mature student. Our highly qualified staff nurtures and encourages creative development and self-discipline, empowering their students with strong dance technique, musicality and social awareness. They are encouraged to be intelligent and honest about their dance art. Our students learn that dance is a communication tool and this knowledge gives them a sense of excitement about dance as creative expression. 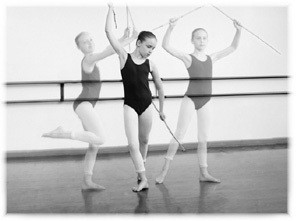 Many of our students have pursued their education in dance and choreography at professional schools and universities. Some of them have become professional artists in their own right. All have acquired a true appreciation and love for dance.